Is Restasis a good option for you? Yet, before we even get into that, are your eyes always dry and fatigued? Do you struggle with dry eye when you are using a computer for long periods of time, or from wearing contact lenses every day? One of the most popular prescription medications on the market to help relieve chronic dry eye is Restasis®. Do you know what causes chronic dry eye? Did you know there are multiple options available to treat dry eye disease? Keep reading below to find the answers to your questions about chronic dry eye and Restasis®. Chronic dry eye disease can occur when you are unable to make enough of your own tears or your tears are of poor quality. Tears are needed to lubricate the eye to maintain eye health and keep your vision clear. Tears also reduce the chance of an eye infection by washing away debris and keeping your eyes smooth and clear. People with dry eyes often complain about irritation in the eyes such as a gritty, scratching or burning sensation. Dry eyes can even cause excess watering of the eyes and blurry vision. When vision is blurred, dry eye syndrome is advanced in nature. This often is caused by damage to the surface of the eye causing your vision to be impaired. Common causes of chronic dry eye disease include advanced age, medications, wearing contact lenses, environment (windy and dry climates), eye diseases and other medical conditions. Inflammation that causes reduced tear production is the most common cause of chronic dry eye. Dry eye is more common in older adults (especially those over 65). Women are also more likely to experience dry eye due to pregnancy, birth control and hormonal changes in menopause. People that currently have rheumatoid arthritis, thyroid issues, or diabetes are more likely to suffer from dry eye due to existing inflammation in the body. Smoking causes chronic dry eye in addition to many other eye related diseases including cataracts and macular degeneration. People who regularly travel via airplane are prone to dry eye since the cabin air in planes is extremely dry. 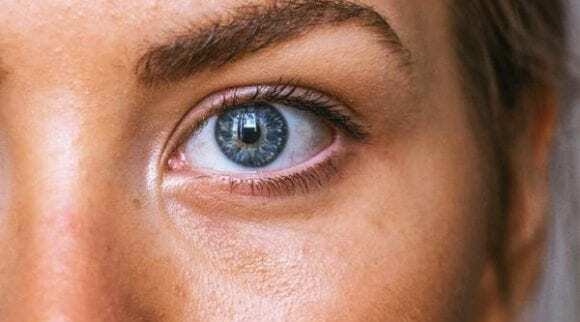 Wearing contact lenses for many years and having LASIK surgery on your eyes (decreased tear production) can both contribute to chronic dry eye. Also, not blinking regularly while working in front of a computer screen or using a cell phone can increase your chances of suffering from this irritating disease. Symptoms of dry eye can vary widely from person to person. Some people will have mild symptoms that bother them a great deal, while others will have more severe symptoms that they simply live with. You need to be tested by a medical doctor or eye doctor to confirm if you have chronic dry eye. Only after professional testing can a doctor determine the best course of action for treating your eye discomfort. There is no permanent cure for chronic dry eye disease. 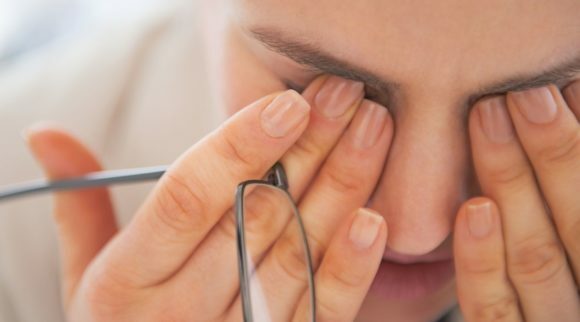 Other names for the disease include Chronic Dry Eye syndrome, Dry Eye Syndrome and Keratoconjunctivitis Sicca (when the water layer of tears is not sufficient). In some cases, medication is not necessary. Simply changing up your routine or hobbies can help alleviate dry eyes, such as taking breaks from looking at a computer or cell phone screen. Over-the-counter medications are also an option that is less strenuous on the eyes than prescription Restasis. For instance, the Heyedrate Lid & Lash Cleanser can help reduce dry and irritated eyes caused by blepharitis. The best part is that you don’t need a prescription to get it. Restasis® (generic name for cyclosporine ophthalmic) is an immunosuppressive agent that helps people who have chronic dry eye syndrome due to inflammation increase their natural tear production. Restasis is a prescription medication that must be prescribed by an eye doctor after a chronic dry eye exam has been performed. If you’d like to treat your dry eyes without a doctor’s appointment and prescription, we recommend trying Heyedrate first. Restasis is a prescription that is given to people who have moderate to severe dry eyes. It is used for a condition in which you do not produce enough natural tears to keep your eyes moist enough to be comfortable in everyday situations. A doctor’s visit is needed to determine if Restasis is a good fit for you. Do not use Restasis if you have an eye infection or are allergic to any of its ingredients. Consider talking to your doctor if you are pregnant or nursing. Restasis is classified as FDA pregnancy category C. Therefore, it is not known whether or not Restasis could harm your unborn baby. It is also unclear if Restasis can pass through breast milk. It is also important that this medication is not shared. Even if you recognize the same symptoms in a friend or family member, it is important that they see their doctor for verification before using Restasis for dry eyes. How do you use Restasis®? Using Restasis is an easy process that should take less than a couple of minutes each day. It is recommended to use the medication at the same time(s) each day. In order to see results, it is critical that you use the medication as recommended by your doctor. If you have any questions before you begin the prescription, be sure to contact your doctor or pharmacist to get the answers you need before starting a daily regimen. When applying Restasis eye drops it is critical that you wash your hands first. Do not let the tip of the dropper touch your eye or any surface. Doing so could contaminate the medication and cause an eye infection. For the recommended Restasis dosage for adults and children over sixteen, simply place one drop of Restasis in each eye when you get up in the morning and one drop in each eye before you go to bed at night. If you are under the age of sixteen, consult your doctor for proper dosage. Start by rotating the vial back and forth gently to ensure eye drops are well mixed. To place the drop, tilt your head back, open your eye, look upward and slightly hold open your bottom eye lid. Release the drop over your eye, being careful not to touch the tip of the medication vial or bottle to your eye. After the drop has entered your lower eyelid, immediately close your eye. Place your finger on the corner of your eye by your nose. Apply gentle pressure in the area of your tear duct for one to two minutes. This will allow the medication to stay in place and not run out of your eye. Do not blink. If you need to use the eye drops in both eyes, repeat the above steps in the other eye. There is no need to rinse the dropper. In the event you forget your dosage, take the dosage as soon as possible. If you are nearing your next dose, skip the one you missed and go back to the schedule your doctor has recommended. Do not double dose. If you are also using an artificial tear product, you will want to allow 15 minutes between using Restasis® and any artificial tear product. As you use Restasis more and make more of your own tears, you should need an artificial tear product less. As with any medication, it takes continued use to see results. Dry Eye disease does not come on suddenly. It is a disease that gets worse over time. Give Restasis® time to work. The average study for Restasis was six months to notice a change in symptoms, and most patients increased their natural tear production during that time. It is important to note that you should not have your contacts lenses inserted when you use Restasis®. After applying Restasis directly to your eye, wait at least 15 minutes before putting in your contacts. 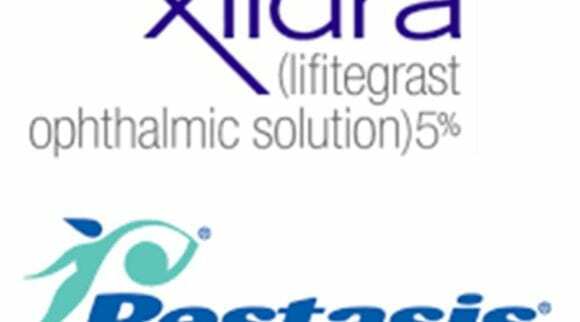 Unfortunately, in many patients that have dry eyes due to contact lenses, Restasis offers little relief. Most contact lens wearers see the same relief using an over the counter dry eye product, such as Heyedrate. Restasis® is the only prescription medication that is FDA approved to help you increase your tear production and reduce discomfort from dry eye(s). However, it is important to note that Restasis did not increase tear production in people that were already using inflammatory eye drops or tear duct plugs. Restasis comes in two forms, original single use vials and a multi-dose bottle. They both can be used twice a day, twelve hours apart. If you are supplementing Restasis with products like artificial tears, it is recommended you wait at least 15 minutes between the applications of each product, so your products have time to work for their intended purpose. Restasis single-use vials are generally prescribed as a 30-day supply containing sixty vials to be used twice daily. A 90-day supply is also available and contains 180 vials. Before opening the single use vials, you will want to mix the formula in the vial by gently shaking the contents inside the vial. This will ensure the product is uniform and you will get a uniform, white, opaque emulsion. Do not touch the tip to your eye or any surface. Once the drop has been administered, discard the used vial in the trash. Restasis single use vials are great for travel and the perfect sanitary option for on the go. Restasis MultiDose® is the same formula as Restasis single use vials only in a convenient multi-use bottle. The Restasis MultiDose is the same price, uses less packaging and is more compact when compared to Restasis single use vials. It is also available in a 30-day supply (1 bottle) and a 90-day supply (3 bottles). When you are using Restasis MultiDose for the first time you will need to pull off the clear shipping cover and remove the pull tab on the protective cap. Both the clear shipping cover and the pull tab can be discarded. If either is missing when you receive the medication, do not use the medication and contact your pharmacy. To finish opening the bottle, remove the green colored protective cap by pulling straight up. Keep this cap; you will need it to store the Restasis MultiDose® bottle. To prime the bottle for medication drops before the first use, pump two drops onto a tissue. Do not let the tip of the bottle touch the tissue. After priming, place the green cap back on the top of the bottle; it is now ready for use. Don’t forget to flip the bottle upside down a few times to distribute the medication inside the bottle before each use. Once the medication is freshly mixed, put one drop in each affected eye. When you are done administering the medication, place the green cap back on the bottle for correct storage of the product. Do not touch the tip to your eye or any surface. Both forms of Restasis contain the same medication and are offered in the same dosages. Choose the one that best fits your current lifestyle. What are Restasis® side effects? Restasis is an eye drop that does not contain many chemicals that would cause major side effects. However, you may experience eye burning, redness, tearing, discharge, pain, itching, stinging or visual blurring. If you experience any of the above, it is recommended you speak with your doctor before continued use of the medication. 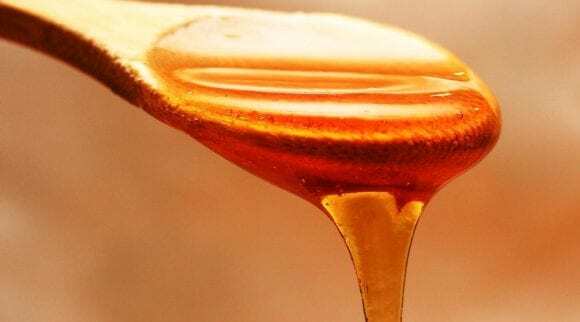 It is important to note that these side effects have been reported in one percent of the people regularly taking Restasis. Not everyone who takes this medication will have side effects. Even those who experience difficulties with the medication will often notice that side effects lessen or disappear over time. If you experience changes in vision, eye swelling or hives, contact your doctor right away. These side effects could be long-term or a sign of an allergic reaction to the medication. Temporary blurred vision occurs when the eye drops are inserted onto the surface of your eye. This is to be expected and patients using Restasis should not drive or do anything hazardous directly after inserting the eye drops. Wait until vision is clear before resuming such activity. Restasis has not been studied in people that have a history with herpes keratitis, end stage lacrimal gland disease, or dry eye as a result of vitamin A deficiency or scarring. If you have a history of any of these conditions, talk with your doctor before using Restasis. How much does Restasis® cost? If you have health insurance, it is recommended that you talk with a representative about what coverage your provider offers for a dry eye exam and medication. Although you may have separate vision insurance, using vision insurance will only pay for routine eye exams. However, your medical insurance may pay for exams that check for eye diseases. This coverage may or may not include Chronic Dry Eye disease. You may also have a co-pay or deductible to meet depending on your health insurance plan. Check with your health insurance representative before you set up any appointments or procedures, so you do not have any surprise bills for non-coverage. 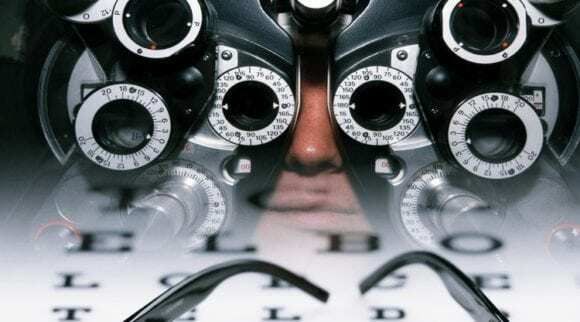 Depending on the extent of your eye issues, some eye doctors will accept your main medical insurance. It is important not to wait for your routine eye exam if you are experiencing chronic dry eye symptoms. 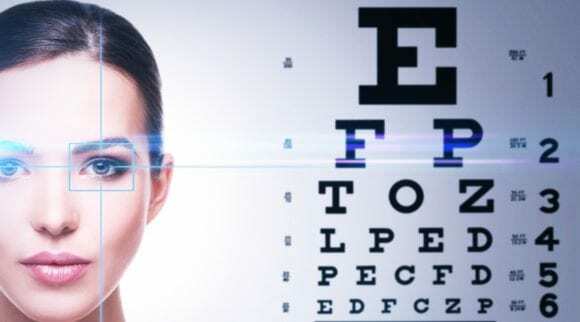 Call your eye doctor and ask for a Chronic Dry Eye disease screening, so they will be under your medical insurance plan and not your separate eye insurance plan. Restasis and Restasis MultiDose are covered by most insurance plans. Consult your health care plan representative to see if Restasis is covered and what your co-pay or out of pocket cost will be in case your doctor prescribes this medication. Some patients will also benefit from enrolling in the My Tears, My Rewards Saving Card through the Restasis website. If you are eligible for the savings card, you can pay as little as five dollars for three bottles of Restasis MultiDose® or thirty-five dollars for a thirty-day supply of Restasis® single use vials. You will need to tell your pharmacist to keep you on the branded medication (and not generic) to use the savings card. By using the savings card, you will also receive treatment tips and more valuable savings offers. According to state and federal laws, patients who belong to programs such as Medicare, Medicaid, or a similar federal or state healthcare program cannot use saving card programs. This includes Medicare patients who are in the donut hole. Is there a Restasis alternative? Are you looking for a Restasis alternative? Since Restasis is a prescription medication, the costs associated with the medication such as exams, prescription co-pays and out-of-pocket fees can be financially overwhelming. Before asking your doctor for a prescription, there are a few options that may work just as well for most moderate dry eye cases. Usually, people that experience chronic dry eye start by purchasing an over the counter eye drop. The lubricating eye drops can heal several causes of dry eye including fatigue and discomfort associated with contact lenses. Gel eye drops lubricate better than water-based eye drops. The weight of the gel stays in contact with the eye longer, leading to better results. For most people, eye drops are enough to comfort their eyes and distract from minor inflammation. Another option is punctal plugs. These plugs are used to block tears from flowing from the tear ducts or puncta. This, in turn, keeps your eyes moist. Depending on your level of eye dryness, the plugs can be placed in the upper eyelids, lower eyelids or both. However, choosing to block both the upper and lower eyelid can cause excessive tearing. If this happens, the punctal plugs will most likely need to be removed. Some plugs can extend past the tear duct to the eyelid and can cause corneal abrasions, so this is something to watch for. Some plugs can be formed to fit exactly to the size of the tear duct. Nearly half of punctal plugs randomly fall out within the first three months. A tenth of patients report discomfort from the plugs and have them removed, but they can be a great option for some people. Some eye drops contain corticosteroids. These type of steroid eye drops are used when eye inflammation needs taken care of quickly. Steroid eye drops work much quicker than Restasis. 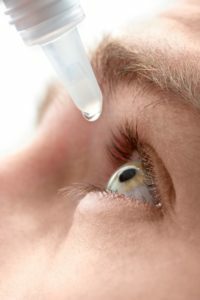 In severe cases, steroid eye drops are used in conjunction with Restasis to give comfort to the patient until Restasis can become effective on its own. 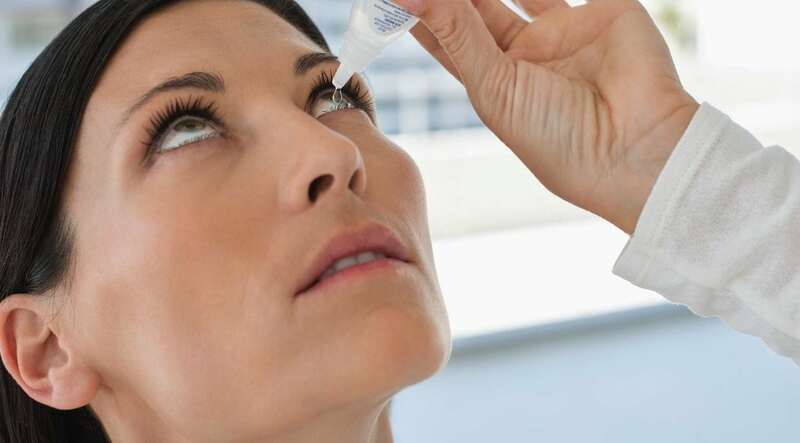 Steroid eye drops should not be used long term without the watchful eye of your doctor, because prolonged use of steroids can lead to glaucoma and cataracts in some people. Severe dry eye cases can also benefit from autologous serum tears. These tears are made with the patient’s own blood. It may sound strange, but serum can be created from the clear part of your blood. This serum is diluted with saline and kept frozen in individual eyedroppers. This method is effective. However, it may be difficult to find a doctor near you that knows how to formulate autologous serum tears and has the facility to do so. They will usually send you to a compounding pharmacy to have this done. Heyedrate Lid & Lash Cleanser fights bacteria on the skin, healing many common skin irritations. The cleanser is organic, vegan, alcohol free, fragrance free, and contains no parabens, sulfates, or preservatives. 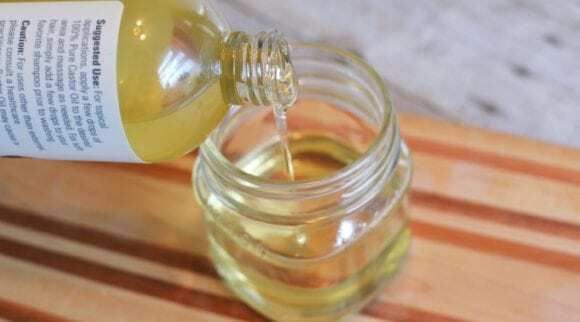 This option is perfect for relief from dry, itchy skin and pesky inflammation for people who care about the ingredients they put in and around their eyes. The Heyedrate Lid & Lash Cleanser comes with a one hundred percent satisfaction guarantee. 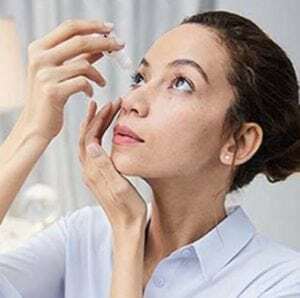 Users of the product remark how gentle the product is, how it has alleviated their dry eye pain and how well it keeps their eye area clean and hydrated. It is important to weigh all of your options before choosing Restasis for your chronic dry eye medication. If your case is moderate, it is recommended to start out using over the counter eye drops and eyelid hygiene. If over the counter medication is not fixing your eye issues or you think you may have become immune to the therapy, the next step is to make an appointment with your eye doctor. Before filling your Restasis prescription, talk to your doctor about all the possible treatments such as punctal plugs, steroid eye drops, autologous serum tears and natural options. Each treatment offers unique pros and cons. Only your doctor can recommend which treatment is best for your unique situation. If you suffer from chronic dry eye and lubricating eye drops are not making your eyes feel refreshed, make an appointment with your medical doctor or eye doctor. Your eyes should be handled with care as they are an essential part of everyday life. Although Restasis has known side effects, very few of the people using Restasis dry eye report any harm from using the product. However, weigh your options with your doctor before choosing Restasis. There are many other treatments that might be more beneficial or better suited for your unique dry eye issues. 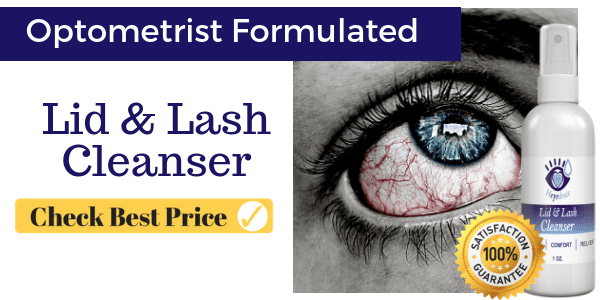 If you have decided to go a more natural route before resorting to prescription medications, Heyedrate Lid & Lash Cleanser is an affordable choice. 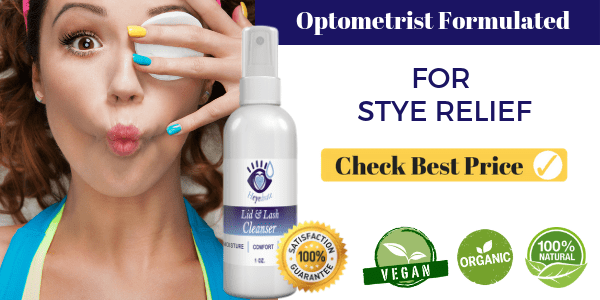 The cleanser has many rave reviews and takes care of not only dry eye syndrome, but a host of other eye issues that may be causing you pain and discomfort. Consider trying Heyedrate for a few months to see if it improves your eye condition(s). If the cleanser helps your eye issues, simply continue using the product to maintain healthy eyes. 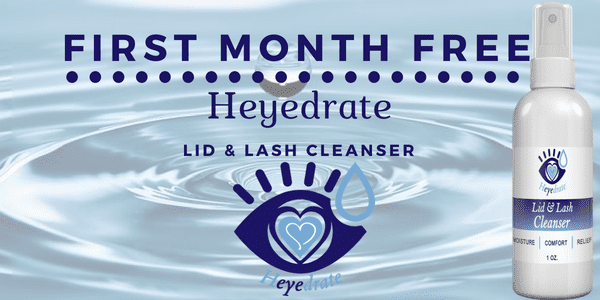 Also if you want to try Heyedrate Lid and Lash Cleanser for free (just pay shipping), click here as we have a special affiliation with them to offer you this day. 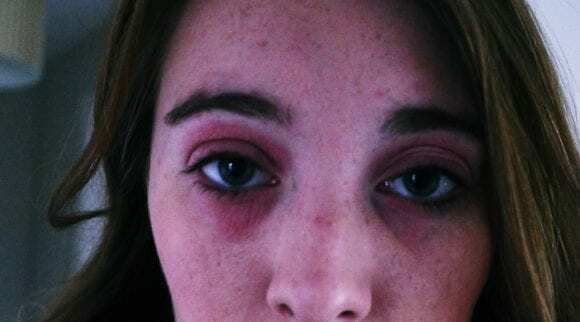 Castor Oil For Blepharitis? Can It Work For You?